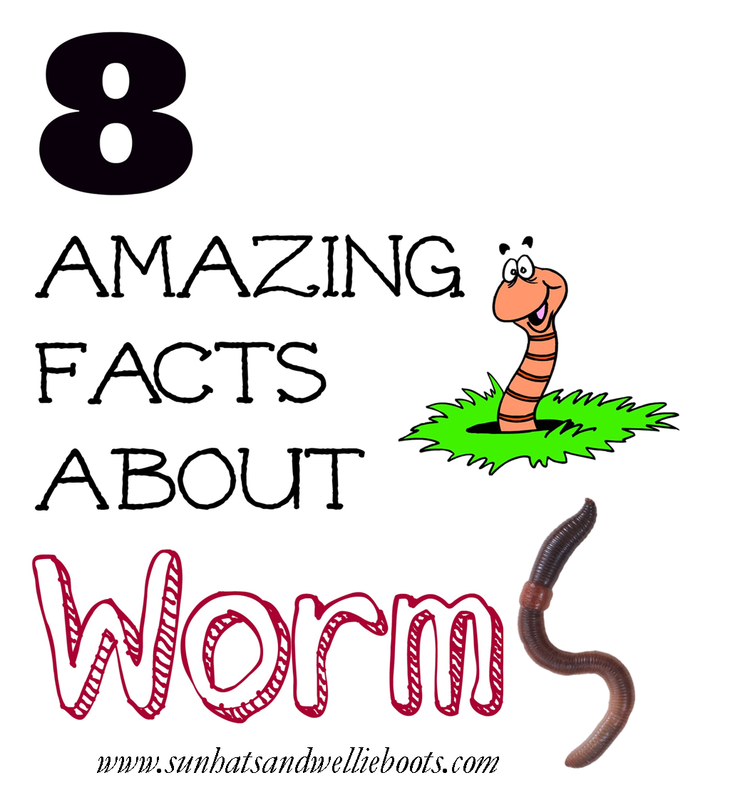 Sun Hats & Wellie Boots: Make Your Own Wormery alongside Superworm & Discover 8 Amazing Worm Facts! 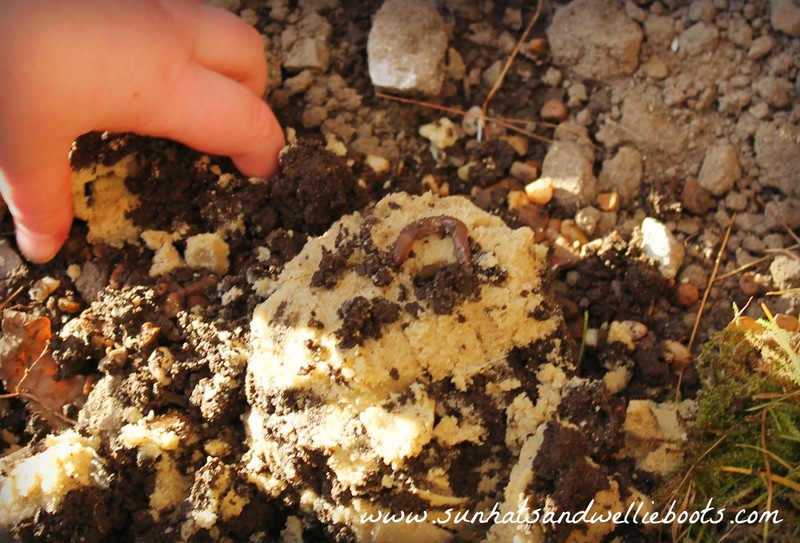 Make Your Own Wormery alongside Superworm & Discover 8 Amazing Worm Facts! 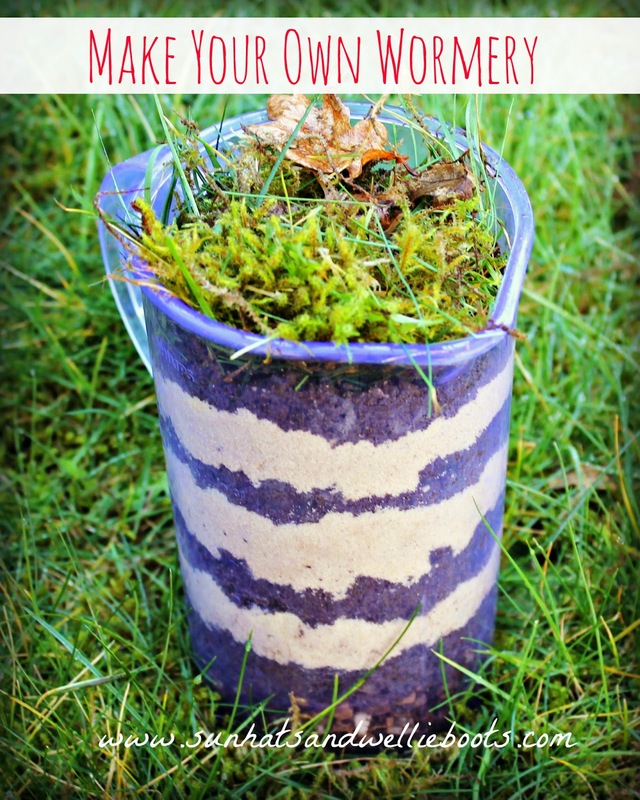 Take one fantastic picture book, add a science experiment, & go digging in the dirt & you have one awesome outdoor adventure full of discovery! After borrowing the fantastic 'Superworm' by Julia Donaldson the other week from the library we were inspired to go & hunt for our own super worm & build him a home. This was such an entertaining book to share with young children (& older ones too) with its great rhythmical rhyming text, beautiful illustrations & captivating storyline. It tells the tale of Superworm, a kind & generous fellow always willing to help out neighbouring minibeasts & other wildlife whenever they need a hand body. Children are sure to enjoy joining in with the repeated phrase running through the book: "Superworm is super-long. Superworm is super-strong. Watch him wiggle! See him squirm! Hip, hip, hooray for SUPERWORM!" This is a great book to introduce minibeasts, natural habitats, as well as friendship. It's packed with humour & is the perfect book to share outdoors before going on a worm hunt! Inspired by this book & armed with a small garden fork & container Minnie set off into the garden in search of Superworm. It turns out we had a plethora of superworms in our garden, & after only a short time of gentle digging in the flowerbed, we discovered these wiggly specimens. She carefully & gently picked them up one by one & held them in the palm of her hand, observing their movement, texture, & size. 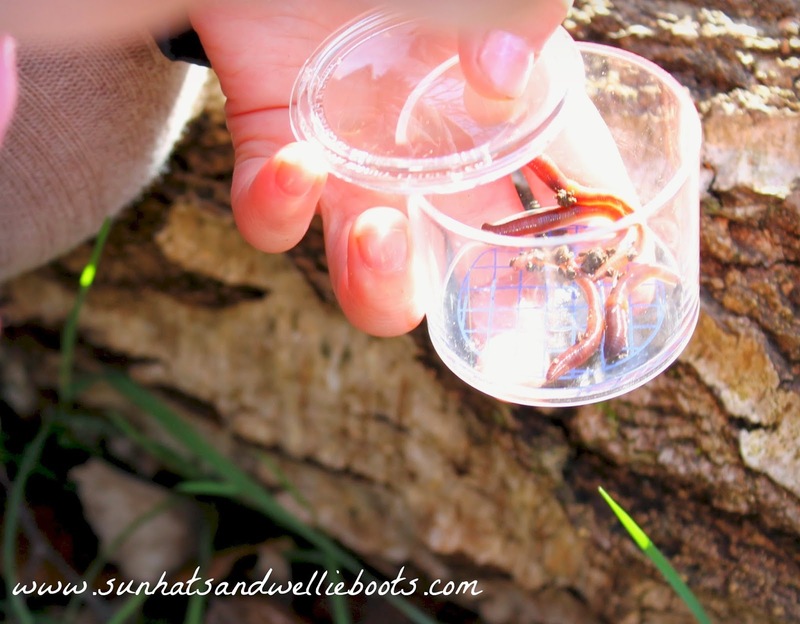 We studied them in more detail with a magnifier & bug pot trying to see if we could spot the worm's five hearts! Part of the worm's body was a darker colour than the rest so Minnie guessed this is where they were located. She then carefully released the worms back onto the flowerbed. 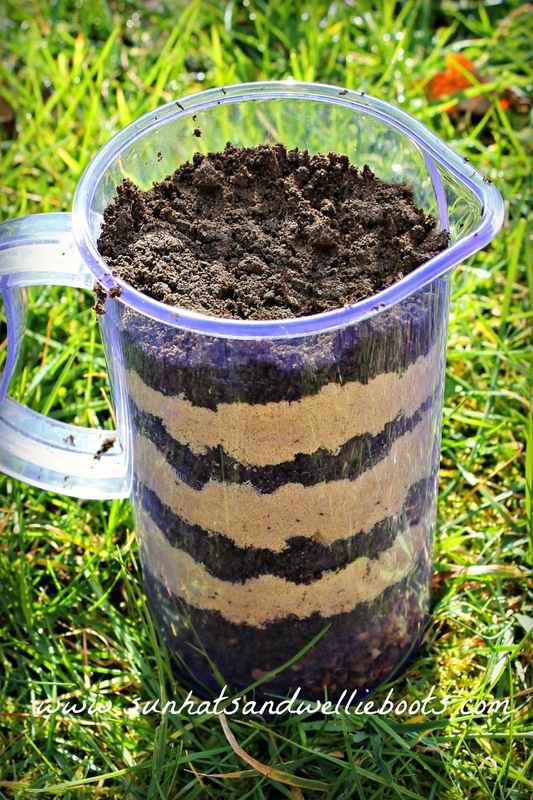 To helps us explore the worms movements more closely & to observe how they lived underground we made a wormery using a large transparent plastic jug. Any clear plastic container (like a large plastic drinks bottle with the top cut off) would work just as well. For the base of our wormery Minnie added a handful of gravel, followed by a layer of soil, then sand. 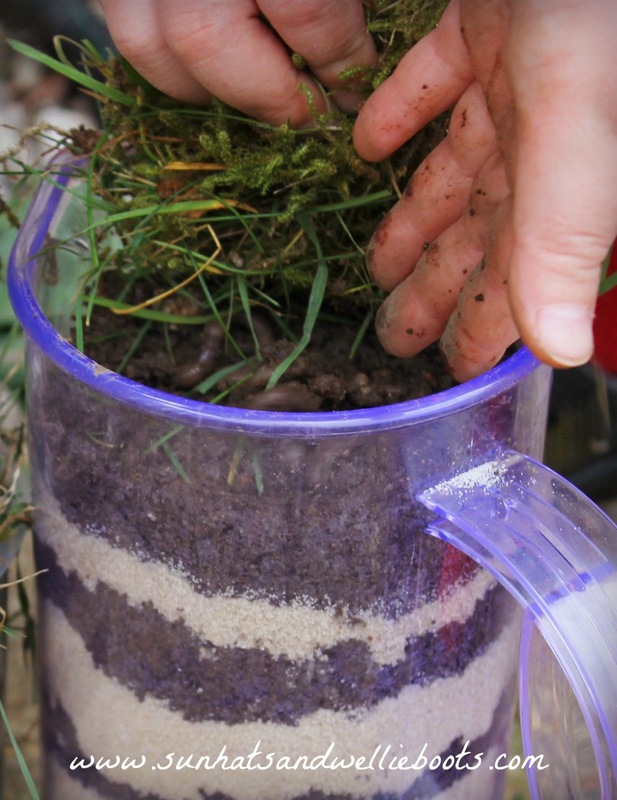 She continued to layer the soil & sand, until it got close to the top of the container. She added the final layer of soil before placing the grass, moss, & leaves on top, & the wormery was ready for its first visitor. Minnie found two worms & gently placed them under the layer of leaves. We watched as the worms almost immediately started to wiggle their way down through the first layers of the wormery, leaving a visible tunnel behind them. We covered the sides of the container with a sheet of card to help create a dark atmosphere inside the wormery. In my girl's words; "we want it to feel like it's underground." We added 2 teaspoons of water to the top to help keep the layers moist & then placed our wormery in the corner of a bookshelf where it was sheltered from sunlight. We checked on it daily, adding teaspoons of water if the layers were too dry. After 5 days we were able to track where the worms had been & follow the patterns of their tunnels. We even spied one through a 'window' on one side of the container. I've read that you can keep worms in a wormery for up to two weeks, but we felt that after five days we should let them go back into the garden, so Minnie carefully emptied the contents onto a nearby flowerbed. This wormery was a great way to study the movements of these minibeasts close up & observe them as if they were in their natural underground habitat. It's also sparked a real interest in these creatures & we discovered why worms are truly super! 1. Worms have been around for hundreds of years. Earthworms lived on the earth at the time of dinosaurs around 120 million years ago! 2. Worms like to munch. will eat almost any dead organic matter in the soil. 3. Worms have super poo! 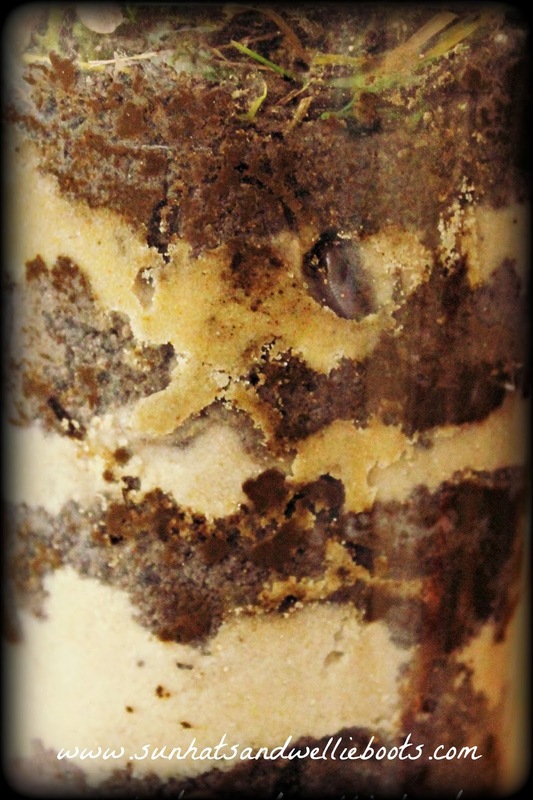 Worms eat soil as they burrow as well as tiny stones which they grind into an organic paste. By eating these items they are helping to reduce pollution & by processing them they're enriching/fertilizing the soil. 4. Worms are great gardeners. When worms wriggle their way through the soil they allow air to fill the tunnels they have created, aerating the soil as they work. These tunnels then fill with water when it rains aiding drainage. 5. Worms have 5 hearts, no lungs & no eyes! Instead of breathing through lungs they breathe through their skin, & this is part of the reason they rise to the surface after heavy rain. When the rain runs through the channels they've tunnelled underground it reduces the amount of air circulating around their skin, so they have to come up to the surface to breathe. Although they have no eyes they can sense light which is something they try to avoid, exposure to too much sunlight can dry out their skin & can cause them to die. 6. Worms can be found in many countries. Today it's thought that there are 6000 species of earthworm around the world. The longest was found in South Africa & measured 22 feet long! 7. Worms help keep everything in balance. Not only do they cultivate, fertilize & prepare the soil enabling plants to grow, they are also a vital part of the food chain & are a staple food for birds, toads, hedgehogs, moles, foxes & more. 8. Worms are super strong! Earthworms like to bury objects that they can process at a later date under the ground. They pull small items under the soil to munch when it is safe to do so. 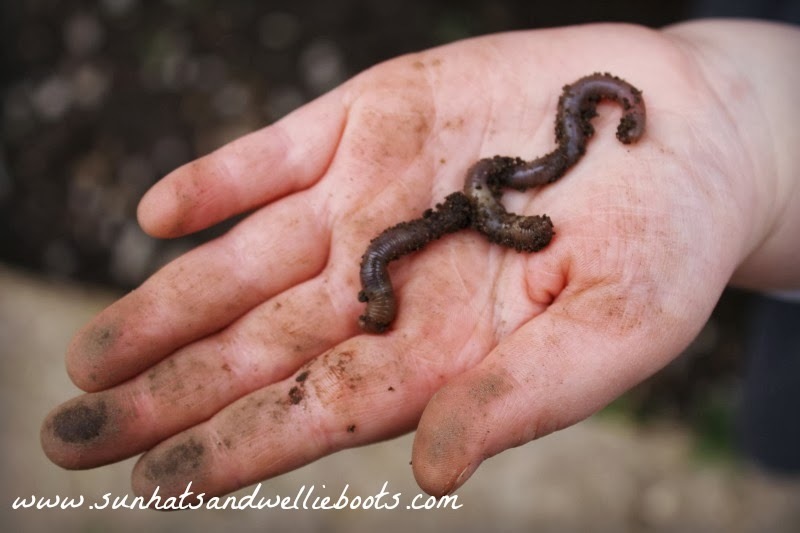 When is the best time to look for worms? Now! 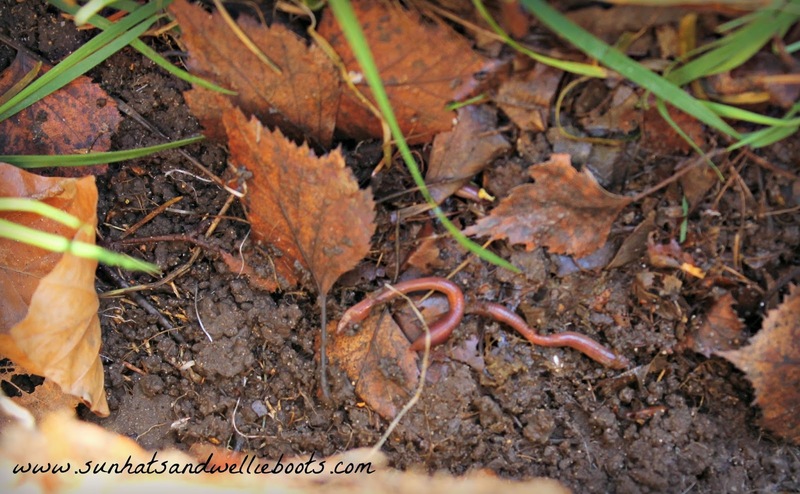 Earthworms are most active in Spring & Autumn, so this is the perfect time of year to go & explore these amazing creatures.